Whether you live in a dorm, micro apartment, or share that single master closet with a partner, it can seem like there's never enough space! 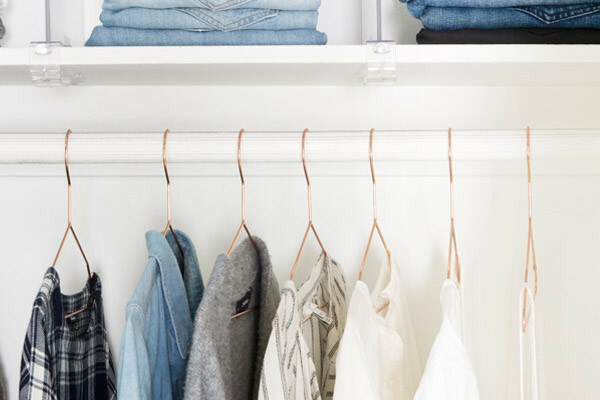 Making the most out of limited closet space is challenging, so we turned to professional organizer and closet stylist Shira Gill to walk us through the process. The great news is that because editing is the foundation of any transformation, a functional, streamlined closet can be achieved with minimal investment. 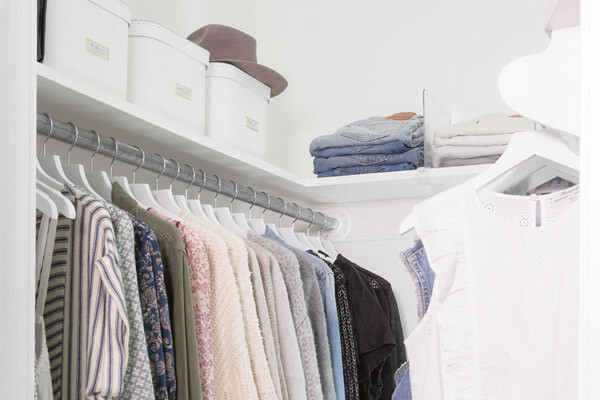 Read on to learn how to transform your closet into a space-saving haven! 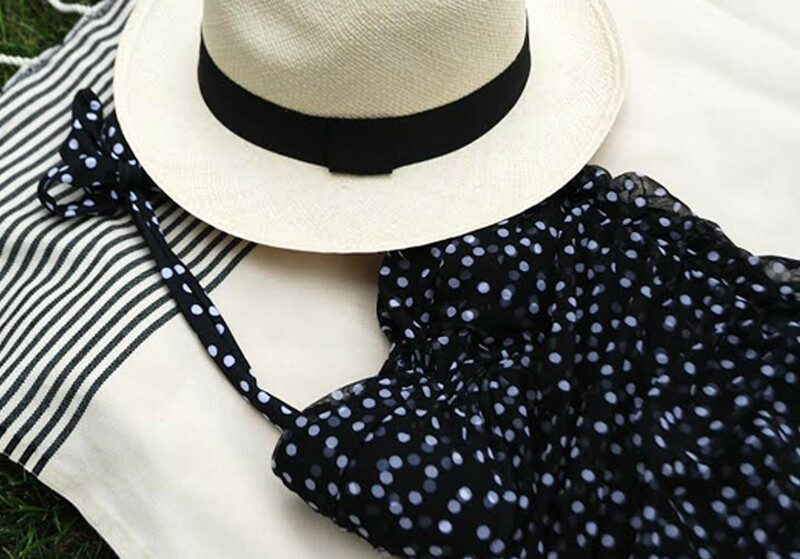 This is your opportunity to start fresh, so create a totally clean slate by removing everything from your closet. You can use your bed for a staging area or place a sheet on the floor so it's easy to lay everything out in preparation for editing and sorting. Use this time to relocate any random items that were accidently left in your closet or could live elsewhere (common items to relocate include a bulky vacuum, extra bedding, diplomas, gift wrap, sentimental items, art or photos). Reserve this space for shoes, clothing, and accessories only. Tip: This is a perfect opportunity to give your closet a good clean. 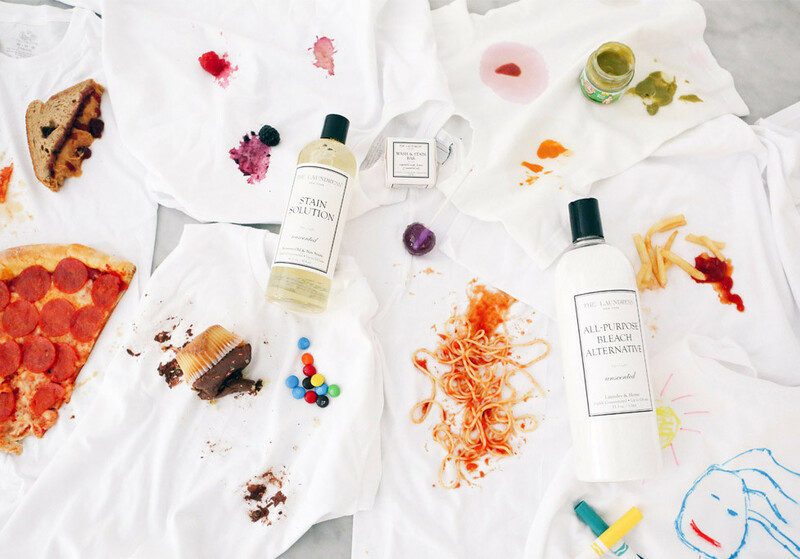 I always opt for non-toxic products. I especially love the Scented Vinegar by The Laundress for a deep clean, and the Home Spray to freshen up your closet on the daily. Line shelves with Drawer Liners for a chic, fragrant surface. Bonus: If you’re up for it, a fresh coat of white paint does wonders for making your closet look bigger and brighter. Do not underestimate the power of a good editing session! Too much clutter is the enemy of a well-organized space, so you’ll want to review the entire contents of your closet, and do your best to keep only what you actually use, need, and love. As you edit, make sure to be realistic and consider both the size of your closet and your current lifestyle. Think through what’s required for your typical week, as well as what you need for workouts, hobbies, and special events. Since the contents of your closet will determine your style, this is also a good opportunity to become more intentional about how you present yourself each day. Just because something cost a lot, or looks amazing on someone else, doesn’t mean that it is the right fit for you. Think of your closet as a well-curated boutique, and fill it only with items that you truly love and that reflect your authentic style. 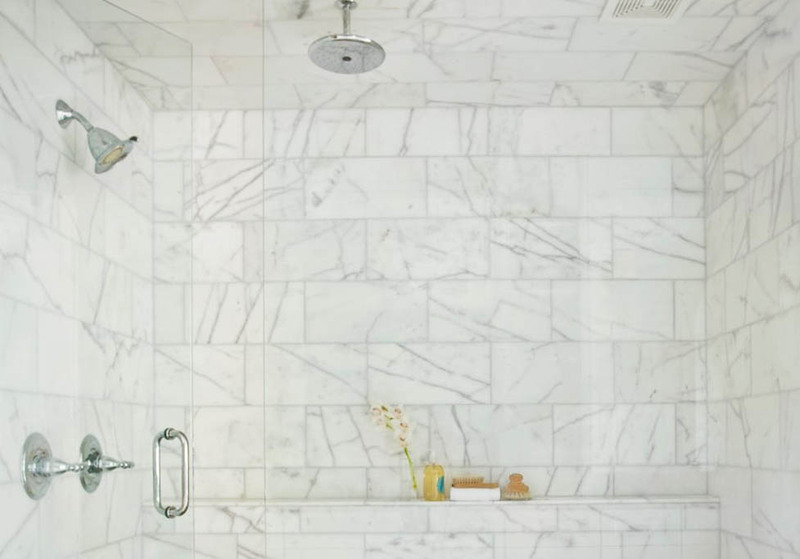 The easiest way to maximize storage in a tight space? Go vertical! It doesn’t cost a lot to add a few shelves, and this small hack can work wonders in maximizing a tiny closet. In deciding how to set up and store things, consider how frequently you use them. Try to keep everyday essentials front and center for easy access, and formal, seasonal, and occasional items in the very back of the closet or on a high shelf. If you have an entry closet or another storage option, you can store bulky coats and seasonal items there. 1. You can also create a streamlined look by using uniform hangers and arranging hanging items by type, style, and color. 2. Acrylic shelf dividers work wonders to keep stacks of folded jeans or sweaters from toppling over. 3. Use pretty open bins or baskets to contain gloves, scarves, and accessories. Pick one style and color of bin to keep everything looking clean and streamlined. 4. Display shoes on open shelving, shoe racks, or cubbies so you can see what you’ve got. Formal or occasional shoes can be stored and stacked in clear shoe boxes. Flip-flops, sandals and sneakers work well in a round basket on the floor for easy access. If you’re really stuck on space, an over-the-door canvas shoe holder can do the trick. 5. Handbags can be hung on sturdy hooks, and clutches and small evening bags can be stored in labeled bins or baskets. You can also use a shelf to line up handbags – stuffing them and using acrylic dividers will help them keep their shape and keep them upright. 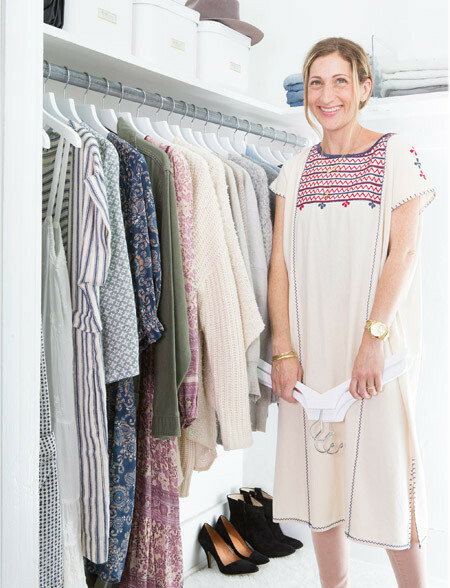 Shira is the founder of Shira Gill Home, a boutique lifestyle brand with a “less is more” philosophy. 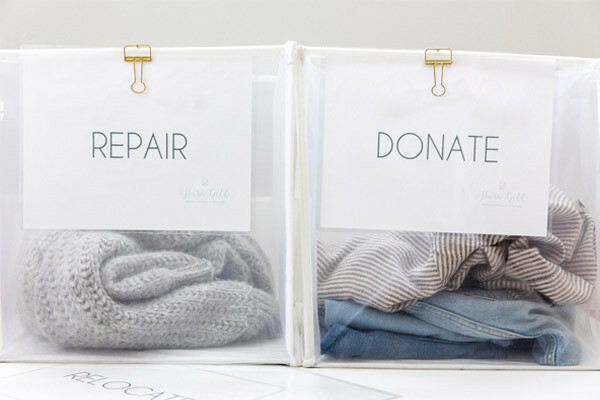 She offers on-site, full service home organization, and she just launched her signature virtual Closet Makeover Program. For information, please visit: www.shiragill.com. Follow Shira on Instagram @shiragill for weekly tips and inspiration.